The old age war for the throne still rages on in SEO and supporters of both sides have rightful arguments for the crown being given to links or content as the king of SEO. Last week we spoke about links and their importance and this week we will be talking about content on your website. There is no golden recipe for content, no set way of ensuring it boosts your rankings and this is because content needs to be suited to answer the question in the correct context that the person using a search engine is meaning to look for. We need to be focusing on natural keywords that will be found in direct and contextual search. In the good old days of SEO we focused on keywords and although we still do it’s now in a different way than before. Only a few years ago we could spam a page with as many instances of a keyword as possible and youâ€™d rank for it; easy peasy. Whereas now we need to be focusing on natural keywords that will be found in direct and contextual search. Nowadays Googleâ€™s algorithms have grown in intelligence and are now starting to attempt to understand Â user intent. There are a million and one ways to explain this but Google knows you, it has your web history and uses this alongside other small factors such as your location to determine what you are looking for. For example I am based in Rugby so if I search for builder rugby I get a list of exactly that, but if I just search for builder I get a list of builders based in Rugby again. This is Google trying to understand user intent and its getting it right. You need to take some time and look at what your target audience is actually looking for. What information should you be providing for your audience? Get this wrong and youâ€™ll be losing out on customers so take some time and a step back and think about it. Location – Where are your target audience based? What – What exactly are your visitors looking for? Is it products, information, services? Price – Do you need a price? Are you selling a product or a service or are you rather providing informational resources? When – When are your customers looking to buy from you? Right away or in the future? What are the user’s needs? With your keywords and the answer to those questions you should be able to decide on the keywords best suited for your campaign. Take into account why your user in on your website; do they need educating on a subject, should you be promoting something to them? or should you be receiving transactions from that customer? This is Google trying to understand user intent and it’s getting it right. Now you of course can create a mix of content such as using the main pages of your website to sell your products or services and having a blog that provides educational material for your customers as well. Good, well thought out content will gain you naturally earned links which again will help enhance your campaign. A common mistake people make is presuming content is solelyÂ text and this is not the case at all. You can create videos, infographics and a whole host of other content options that will help engage your audience and potentially turn them into customers. 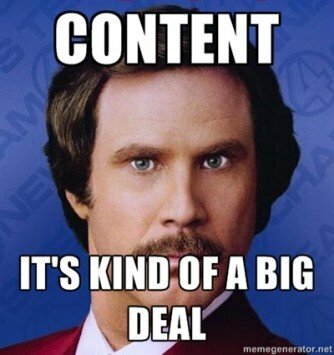 You have to grab that persons attention and keep them with you with well thought out content. Remember to use schema markup with content and videos to ensure you are getting the maximum exposure for the subject. 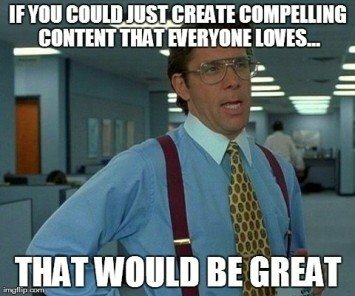 The short of content is simple: Stop writing keyword stuffed content for search engines and write natural content for your users and get them engaging, this will be far better for your SEO than a spammy page. Think outside the box and get the upper hand on your competitors making your audience think, make them tick and make them convert into your customer. Next week I’ll be back with the final chapter in the Back To Basics series where we’ll be talking about your strategy and why having one is the most important part of a successful SEO campaign.